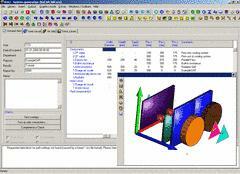 In hydraulic systems, energy is transformed and transmitted. During this transformation and transmitting, losses occur, i.e. 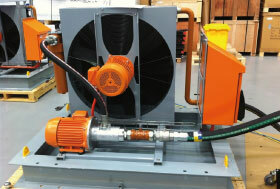 mechanical and hydraulic energy is converted into heat. It is the function of cooling systems to dissipate this heat. 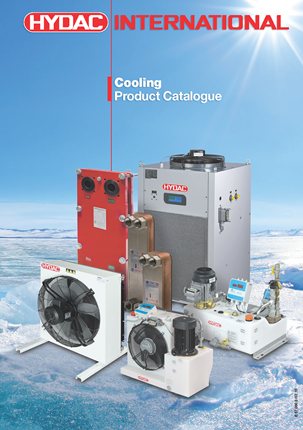 If you’re building a hydraulic system and need an oil cooler, or if you’re replacing your existing cooler and need readymade industrial coolers or custom coolers, discover the quality range designed and manufactured by HYDAC. Our application-based engineering designs are developed and manufactured in product-orientated laboratories, testing and production facilities for applications in mobile and industrial machinery and systems. HYDAC manufactures custom coolers that are tailor made to comply with the standards set for the Australasian industrial market. The increased demands for energy efficiency and the noise emission requirements for mobile machines mean that cooling systems for these vehicles have to be developed to the dimensional limits of what is physically possible. 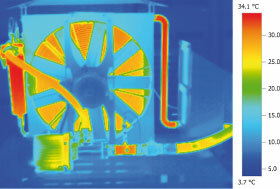 Specific OEM designs are the prerequisite for optimum cooling system solutions. This cooling system consists of performance-optimised cooling elements in aluminium block construction and encompassed charge air (Intercooler), engine coolant (Radiator) and hydraulic oil (Oil cooler). 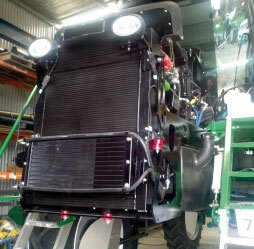 Special fan designs coupled with proportional hydraulic motors provide the optimum solution to meet all cooling requirements on mobile machines. 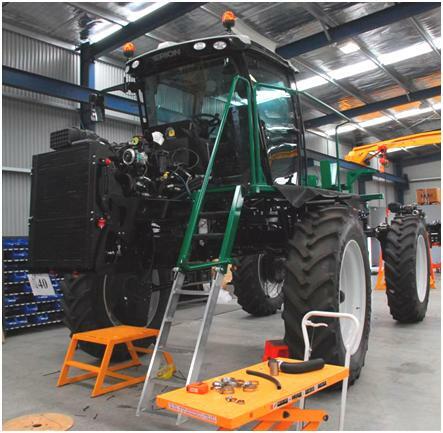 In addition, this solution more than fulfils all the noise directive requirements for mobile equipment. The resulting compact construction saves space, weight and installation costs. The additional integration of a switching valve to reverse the direction of fan rotation (suction as well as blown air direction) enables the cooling system to be cleaned while the machine is operating, thus avoiding downtime. The continuous dedication of the HYDAC team, always driving improvement with regard to technological development and innovation, product design and expertise, makes HYDAC a highly competitive company. Its sophisticated Research & Development Centre guarantees that customers all over the world are provided with the latest technology at the highest quality. 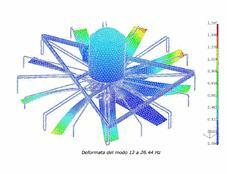 This “Centre of Excellence” is highly specialised, not only in terms of its equipment, but also its processes and software simulation tools (e.g. CFD, FEM, KULI) applied and the team working at this R&D Centre. 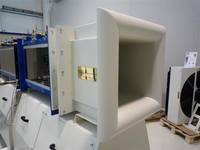 Product knowledge is accumulated through technologically high standing test rigs, wind tunnel and other TUEV certified equipment. Important performance tests in terms of heat exchange, pressure drop, air resistance, resistance to the fatigue, corrosion, noise, thermal-shock and vibrations are executed and analysed in our Centre of Excellence. The Research and Development laboratory has the capacity and capability to always develop products of the latest and most advanced technology, thus being able to provide a wide range of advantages to its users. HYDAC is not only the owner of several patents, but is also working successfully with partnerships, such like universities and participating in several European Research projects. 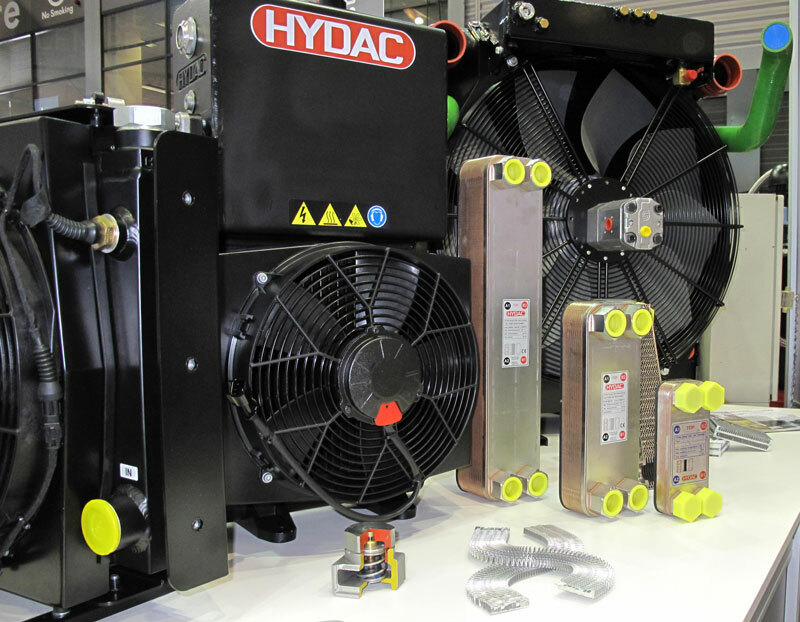 Whether you need custom coolers for an engine, industrial coolers for a hydraulic system or a replacement oil cooler, discover what HYDAC can do for you.